Education and Experience: Mr Pandey is an education leader with more than15 years of experience in education, technology and business world. Education entrepreneurial experience includes classroom curriculum, school technology, assessment and policy implementation. Technology and business experience includes effective administration, implementation of new business concepts, budgetary and financial experience and role model with strong work ethics. Education and Experience: Mrs. Garrett teaches Algebra I and 8th Grade Math. She holds a Bachelor of Business Administration degree in Marketing from Stephen F. Austin State University. She has been teaching Algebra I, Geometry, Algebra II and Pre-Calculus for the past 4 years and has taught Spanish for 6 years prior to taking several years away to raise her children. Mrs. Garrett joins us this year as her first year at PTAA. Education and Experience: Shelbi graduated with Bachelor's in Biology and minored in Chemistry from Texas Tech University. She is certified in Generalist 4-8 and has taught both math, now and science and now is teaching PTAA students 7th and 8th math. Shelbi enjoys showing real world connections to math and helping students see the relevancy of mathematical thinking in everyday life. Education and Experience: Ms. Hardin graduated from Dallas Baptist University. She has been teaching math for over twenty years, and she absolutely loves the interaction with the kids. She believes math is like working a puzzle....trying to find the missing pieces, and it is thrilling when she see kids realize they can fill in those missing pieces and connect those dots. Education and Experience: Education and Experience: Mr. Phan graduated from UTDallas with a Bachelor of Science in Cognitive Science with a Minor in Psychology. He has taught Developmental Mathematics for 5 years, Tutor Mathematics for 6, and Substitute for 5. His passion is personal development and academic exploration, to provide students with a well-rounded understanding of Mathematics and its place in a fulfilled life. Education and Experience: Emily has a B.A. in English from Texas A&M University. She has graduate coursework in curriculum development. She taught English I/II Pre-AP and English IV AP in Dallas ISD for six years before taking a hiatus to stay home with her daughter. This is her first year at PTAA and she is excited to share her passion for literature and writing. Christine Smart received her Bachelor of Science in Mental Health and Human Services from Franciscan University of Steubenville. She worked as a high school theology teacher, for two years in private schools. She later obtained her certification in 4-8 generalist and started teaching in public charter schools in Richardson, TX in 2015. She received her 7-12 ELAR certification this past year, as well as, a ESL certification. Christine is starting her 6th year of teaching. She is excited to be apart of such a thriving and growing community at PTAA! Education and Experience: Mrs. Land holds a Bachelor's degree from Texas Tech University and a Master of Arts in Education degree with a specialization in Child Development from Ashford University. She has been teaching for the past 7.5 years in North Carolina and Texas, and has her certifications in EC-6 Generalist and ESL. She is currently working on her GT and Special Education certifications. Mrs. Land strives to help students succeed while developing a love for learning in a nurturing and challenging environment. Education and Experience: Charles Sanford graduated from Texas A&M University – Kingsville in December 2012 with a B.S. in biology and a teaching minor. He went on to work in the oilfield for 1-1/2 years and then substitute taught in Lewisville ISD, working mostly with special education classrooms. In 2015, Charles went on to become an Instructor, and then later a Lead Instructor and Head of Lesson Planning at Science, Entertainment, and Design in Coppell, TX. One of his greatest passions in life is video game design. Education and Experience: Mrs. Shaffer teaches 6th and 7th grade science. She holds a Bachelor of Science degree in Psychology from the University of Texas at Dallas, and recently returned to UTD to obtain her teaching certification. She left her Career in Human Resources Management to teach at PTAA after realizing teaching science to kids was a lot more entertaining than teaching grown ups to fill out paperwork. Education and Experience: Carly Magouirk has worked with children for about seven years now. She graduated from Texas Woman’s University in Denton and earned her Bachelors in Child Development. She is currently pursuing a teaching certificate to become a teacher. Her hobbies include: spending time with family and friends, spoiling my three dogs, reading mystery novels, buying ‘necessary essentials’ from Hobby Lobby and/or Target, and watching HGTV or criminal shows. Education and Experience: Mr. Burnett graduated from the University of Texas with a double major in Government and History. Mr. Burnett subsequently obtained a law degree from the University of Texas. After practicing law for nearly 20 years, he decided to put his undergraduate degrees to use and focus on his lifelong passion for history. 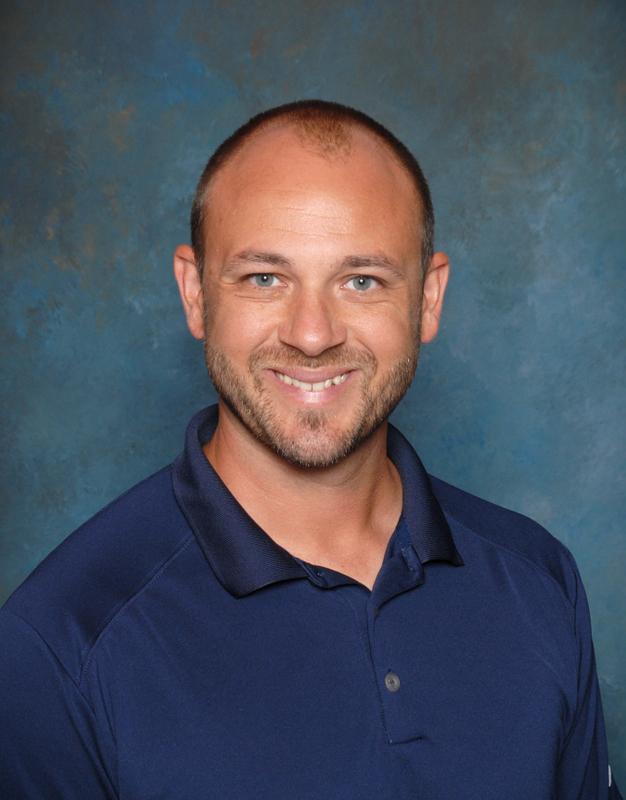 Education and Experience: Mr. Stewart is a native Texan who graduated Howard Payne University in Brownwood, Texas in 2016 with a social studies composite degree. There he was involved in the University band as well as an international award winner in Model United Nations. Mr. Stewart was honored with Most Outstanding New Secondary Teacher at HPU, and Teacher of the Month during his Student Teaching. He is an avid reader and board game enthusiast. Tremuir Thompson obtained a degree in Criminal Justice with a minor in Computer Science from Jarvis Christian College in 2013. There he become a member of Alpha Phi Alpha Fraternity Incorporated where he served as chapter president. During his time at JCC he held numerous positions throughout campus such as Senior Class President and President of Pre-Alumni. Tremuir has worked in various forms of education for the last 5 years. He worked as the Director of Education for GradePower Learning, math tutor for Sylvan Learning Center, assistant site coordinator for PACE after school program and self-contained 3rdgrade teacher for Manara Academy in 2017-2018. Mr. Thompson is excited to explore different cultures around the world with your wonderful children! Education and Experience: Mr. Hernandez has been teaching math and science since 1988. He has taught classes with students ranging from 4 years to 20 years in math, computers and science. He holds a Bachelor of Science degree in biology (1985) and a Bachelor of Science degree in physics (1990) from the University of Texas at Dallas and a Masters in Education at Texas A & M at Commerce. He works hard for student understanding and their success. Education and Experience: Ms. Jones earned her Bachelor’s degree from Texas A & M University at Galveston in Structural Engineering. She worked for six years as a Structural Engineering for Oil and Gas firms in Houston, Texas. This is her first year teaching and is excited to share her passion for STEM. Education and Experience: After Mr. Ross graduating from UNT he lived and worked in Beijing, PRC. After four and a half years of teaching English to some of the most amazing Chinese students he returned to Texas and became a Chinese language teacher. Education and Experience: Mr. Shaochang Wang was born in Sept. 1964 in Changshu, China. He was admitted as a college student in the year of 1981, and graduated with BA in English Education at Yangzhou University. He loves Texas and Texans and Texas sports, especially the Longhorns where he is deeply rooted with pride. He is also certified as a teacher of Mathematics of Grades 5-8 in Texas in addition to his Chinese Certification. He loves students and enjoys working with them and staff at Mesquite Campus. Education and Experience: Mr. Fuentes teaches Spanish I through IV at the Mesquite campus.He is also certfied in bilingual elementary. Education and Experience: Mrs. Trejo is a Univerisity of Texas at Dallas Grad with a background in speech language pathology.She is half Mexican and spent formal time educated in Mexico City. She has a great passion for teaching communication and foreign language. She loves what she does, working with children. When she's not teaching she spends time with her fur babies and booking photography sessions with her husband. 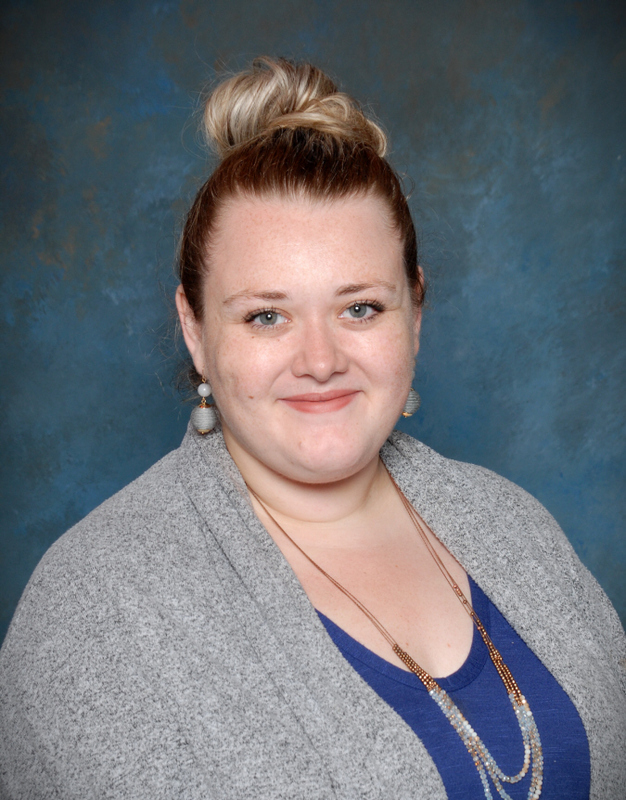 Education and Experience: Ms. Houston received her Bachelor of Science degree in Education from Texas State University and is working toward completion of her Master’s in Teacher Leadership with GTED Concentration from Lamar University. She holds Project Lead the Way STEM Certifications for Launch and Gateway Curriculum. Ms. Houston’s is a strong advocate for emphasizing the creative element within Technology. She inspires her students to add the “A” (for Art) to STEM. Her passion for children, art, life-long learning, and all things creative is the key to her educational facilitation of STEM pprogram. Education and Experience: Ms. Sinegal received her Bachelor’s degree in Visual and Performing Arts along with a minor in Psychology, from Grambling State University. While Ms. Sinegal enjoys working as a Musician, a 3D Sculptor, and creating artistic installations. Art and Music Therapy is her passion, as she aspires to help children and adults with healing through the Arts. Education and Experience: Ms. Soriano received a Bachelor of Arts degree from Lamar University and Masters of Education from Concordia University. She has more than 42 years’ experience as a musician. She has been an Educator for 20 years with 18 years as a Music Teacher in public school. Her passion is educating students and sharing her love of Music. Education and Experience: Coach Harris graduated from California Baptist University with a bachelor of science degree in kinesiology. Coach Harris has been a PE coach for 4 years and he’s very passionate. He loves helping students of all ages reach they’re life and fitness goals. Education and Experience: Ms. Carrera graduated from Paul Quinn College with a science degree in kinesiology. She has been coaching for 3 years. She wants to help students understand the importance of living a healthy lifestyle. Education and Experience: Ms. Bonney graduated from TWU with a B.S. in Speech-Language Pathology. She has over 22 years of home-school experience as well as 15 years of substitute teaching experience. She was curriculum director for two years and wrote curriculum for an after-school program. She worked as a paraprofessional in special education for three years while working on 6 state certifications. She previously taught Special-Education Resource English I-IV, Study Skills and Content Mastery at Lone Oak High School. Education and Experience: Ms. Jones holds a Bachelor’s Degree from The University of Texas at Dallas in History, and a Master’s of Science in Counseling Studies from Capella University. She taught secondary English and social studies for eighteen years at several area private schools. Ms. Jones has worked as a case manager with TRIO at Cedar Valley College, and served as the Secondary Administrator of a North Texas Charter School. For the past nine years, Ms. Jones was the secondary counselor for a North Texas Independent School District Alternative School. She is married with two adult children and two grandchildren. She is a long term resident of the North Texas area. Education and Experience: Ms. Sawyer graduated from the University of Oregon with a B.A. in Sociology and a minor in Public Relations. She has worked with youth in a variety of capacities; through international volunteer work, mental health non-profit organizations, and as an advisor at an online university. She strives to connect with her students and instill self-confidence, the adoption of personal responsibility, and the pursuance of life-long learning in each and every one. Education and Experience: Ms. Berry has a Bachelor's degree in Business from Southern Methodist University in Dallas Texas. Her past experience includes owning her own business for over 20 years, fragrance buyer for a department store and General Manager of an Art Gallery. She has also worked with Federal Grants and Business office at a Charter School.